It’s true what they say - ‘winning MasterChef can change your life’. I don’t think that saying could sum it up any better. Since winning the show in 2012 I’ve been fortunate enough to get involved with so many food related projects, it’s the first question that I get asked and thought I’d just show you the type of activities I’ve been involved in and the type of opportunities that you are exposed to after winning a show like MasterChef. 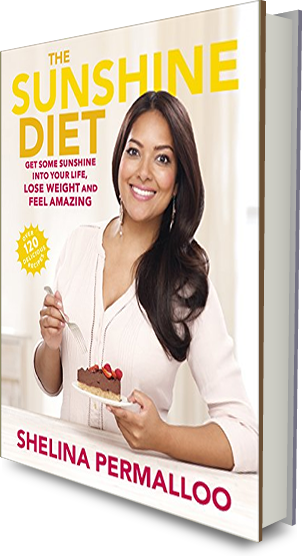 My second ‘The Sunshine Diet’ released this January, is a book packed full of inspiration to help you lose weight and feel great, inspired by my own journey where I lost 22 kilos I wanted to show you the dishes that inspire me to feel full, happy and don’t make me feel like I’m on a diet! My first book ‘Sunshine on a Plate’ was published by Ebury Press on 20th June 2013; Inspired by the land of my heritage Mauritius, this book takes you on a culinary journey through the island’s classic dishes all with a Shelina twist! The most amazing opportunity is the access you can get to some of the best restaurants in the UK. Restaurant work experience is called a ‘Stage’ which is where you get access to a kitchen even to peel potatoes for the day opens your eyes to the underworld of the life of a Chef. This experience cannot be bought and can only be fully appreciated should you manage to get a stage in a kitchen. Since winning MasterChef I’ve had the opportunity to work at Michelin Restaurants such as Nahm and Benares which I chose because they fit under the umbrella of ‘World Cuisine’ which is where I now see my food being placed. I’ve done a few Pop Up experiences, which is where a kitchen allows you to sell and serve your food to customers over a period of time to showcase your work, I’ve done this at Benares, 1 Lombard Street and the Thatched. “Its a pleasure to of been asked to write on your website. The food we had that night from the saffron rice to the trio of desserts were just simply breathtaking. I honestly thought it would be extremely difficult and time consuming to contact you but was so surprised how easy and direct it was. Most people would think contacting you "would be a waste of time" or "she's too busy" but I want to let everyone know it was so simple. In terms of timing keeping and replying to responses Shelina is spot on.